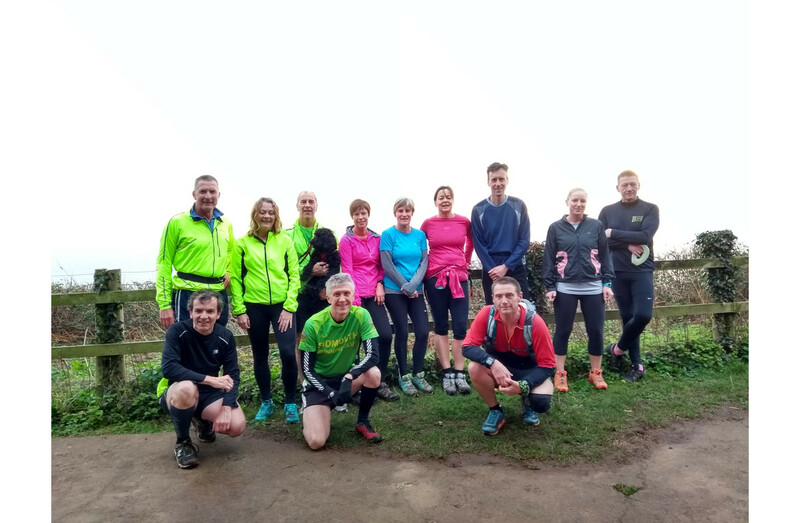 Last Sunday’s training route took an enthusiastic group of 16 Sidmouth runners and two very keen dogs on a trek over Woodbury common. 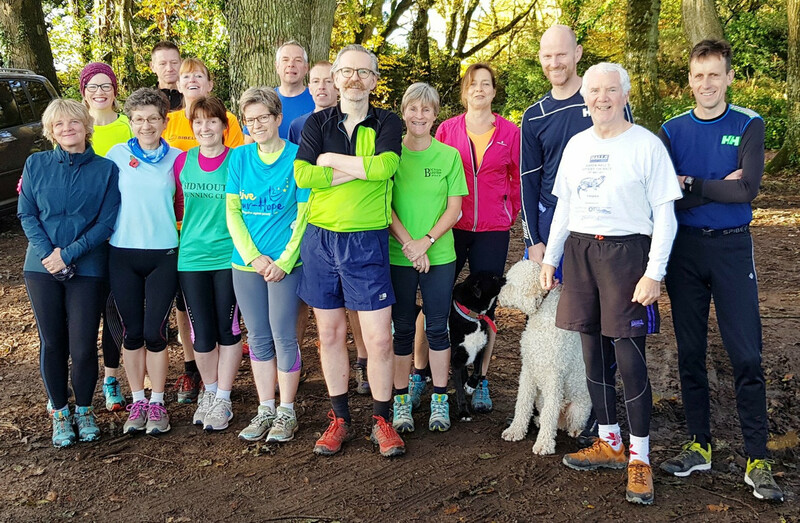 This particular session was in preparation for the Bicton Blister race, which takes place on Sunday the 25th of November. They met about a mile away from Bicton College and headed out onto the common, keeping as close to the Blister route as memory served. For the first mile Terry Bewes led the group on to the beautiful pebble-bed common in the warm Autumn sunshine. 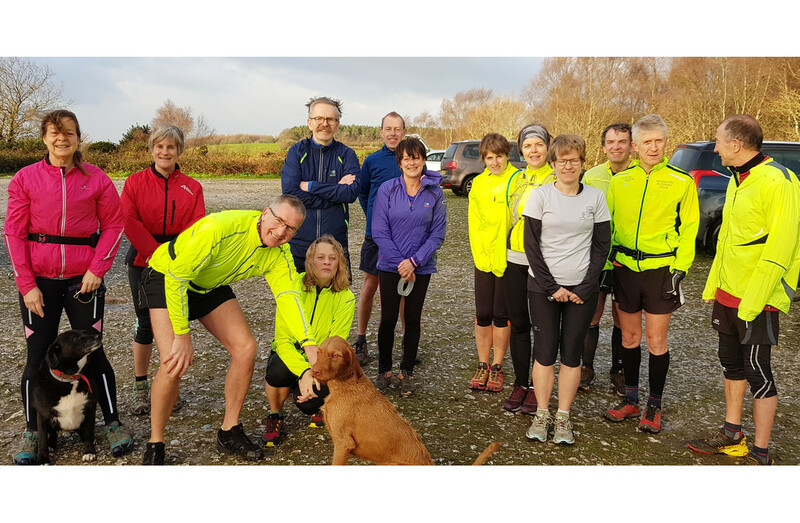 The group made their way over to Warren Car Park where there will be a water stop on the day. Then edged around the common, through some woodland and back to where they had started. 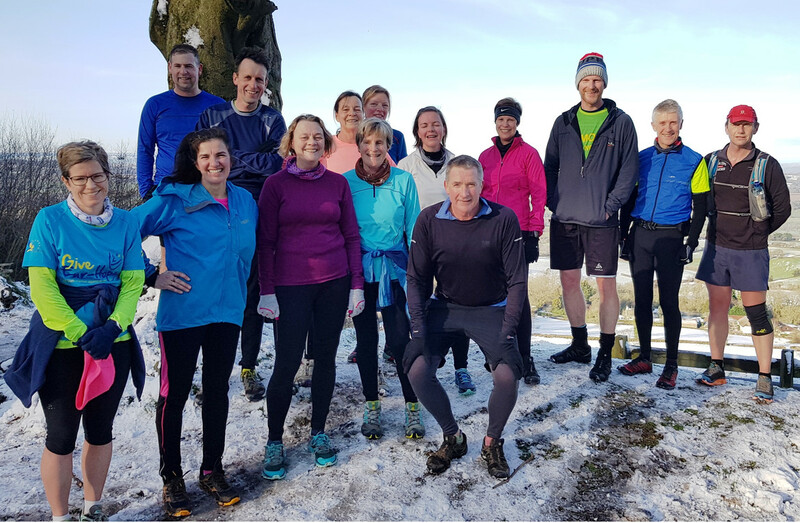 A very useful morning out, checking and acclimatising to eight of the miles that the race takes on the day. With precision timing they even got back in time to observe a minutes silence, in respect to those that fell for our country.